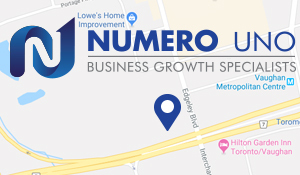 Numero Uno Web Solutions (www.NumeroUnoWeb.com), a fast-growing Internet marketing firm that caters to medium- and large-sized business-to-business (B2B) and business-to-consumer (B2C) companies, is weighing in on a study showing digital ad spending will grow significantly in 2015. Numero Uno Web Solutions is also warning that Canadian consumers are growing increasingly wary of digital ads. According to a recent survey, digital ad spending will grow 15% this year to $4.36 billion, or 34% of total paid media spending in Canada. By 2019, digital’s share of total media ad spending will reach 41.7%. While most display advertising in Canada is geared toward desktop, future growth will be driven by mobile. (Source: “Display Ads Drive Digital Growth in Canada,” eMarketer.com, September 18, 2015; http://www.emarketer.com/Article/Display-Ads-Drive-Digital-Growth-Canada/1012999.) “It’s not a big surprise to see that digital ad spending is on the rise in Canada. After all, the Internet is the biggest, most influential advertising channel,” says Ara Libarian, General Manager of Sales at Numero Uno Web Solutions. “At the same time, brands need to understand that Canadian consumers are increasingly wary of what they read in digital advertising.” According to another study, the Canadian public is highly sceptical of digital ads. The top reasons cited for their lack of trust include false or manipulative ads, that the Internet is unmonitored and merchants can say whatever they like, and that ads often link to scams. The ads Canadians mistrusted the most are pop-ups, while the most trusted types were search advertising and pre-roll video ads. (Source: Krashinsky, S., “Canadians wary of digital ads, study finds,” The Globe and Mail, September 30, 2015; http://www.theglobeandmail.com/report-on-business/industry-news/marketing/canadians-wary-of-digital-ads/article26596705/.) Brands are spending more and more money to attract online users, but about a third of online campaigns don’t generate awareness or increase sales. On top of that, approximately two-thirds say they stopped buying from companies whose ads they found “unacceptable.” Brands need to advertise, but they also need to understand their audience; what they think is important could be markedly different from what their customers want to see. “Brands looking to increase their target audience online need to use an Internet marketing company with a proven track record of making web sites more discoverable online. One of the ways to do that is to collect research about the brands, its products, and services,” Libarian concludes. “This helps brands better understand what kind of information their customers want to see, all of which helps increase brand awareness, loyalty, and customer engagement. Failing to do this will result in an ineffective ad campaign that could ultimately drive customers to the competition.” Numero Uno Web Solutions, is one of the top Internet marketing firms due to constant innovation and overall customer satisfaction. For more information on Numero Uno Web Solutions, and to discover how it can help maximize a company’s search engine optimization and online presence, visit www.NumeroUnoWeb.com or call Numero Uno Web Solutions toll-free at 1-855-SEO-XPRT (1-855-736-9778).